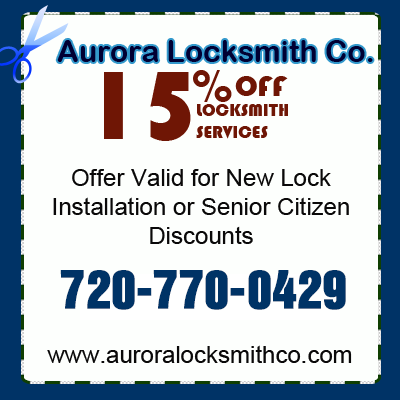 Welcome to Aurora Locksmiths Co, the leading Locksmith Company serving all of the Aurora Colorado and the surrounding areas. We offer 24/7 Emergency Lockout Service for your Home, Car and Office. No matter what time or what lock we are available 24/7 even late night, weekends and holiday. Our Locksmith Technicians are licensed and insured, and experienced with the latest technology to provide you amazing Locksmith Service. Call Now and Recieve up to 15% off. We also offer Senior Citizen Dicounts. 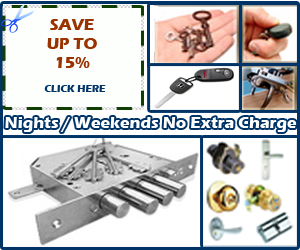 Professional Affordable Expreience Locksmiths in Aurora Colorado. 2010 © Aurora Locksmiths Co. All Rights Reserved.